This is a gorgeous gown with corseted/boned bodice and black gathered exposed underskirt. It is from Lip Service's Quoth the Raven line, long discontinued. The velvet on this is amazing!! 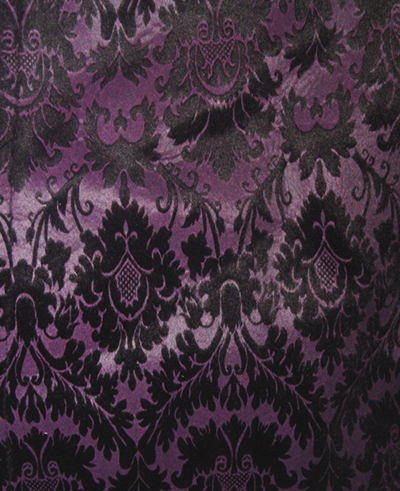 It is thick, quality deep smokey purple with a black damask print and is just incredible! The bodice gives wonderful support and the black underskirt is made of a quality black chiffon material. Zips up the back. 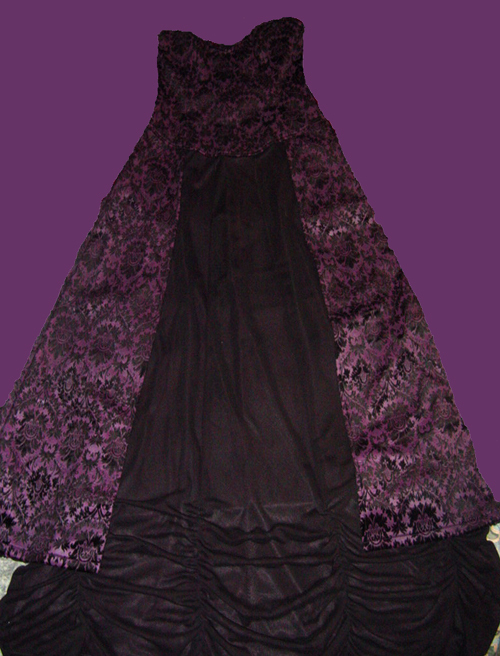 Perfect for a Gothic modeling shoot or a Gothic / Medieval or Victorian type wedding. Size: Ladies Extra Small. Bust: 30" around, Waist: 23-24" around. 50" long. Condition: NOS, never worn - perfect!